The following piece entitled ‘Summer Sanctuary’ was written by two students at St Hugh’s College and was published in 1953 in ‘The Hugonian’ which was the college magazine. 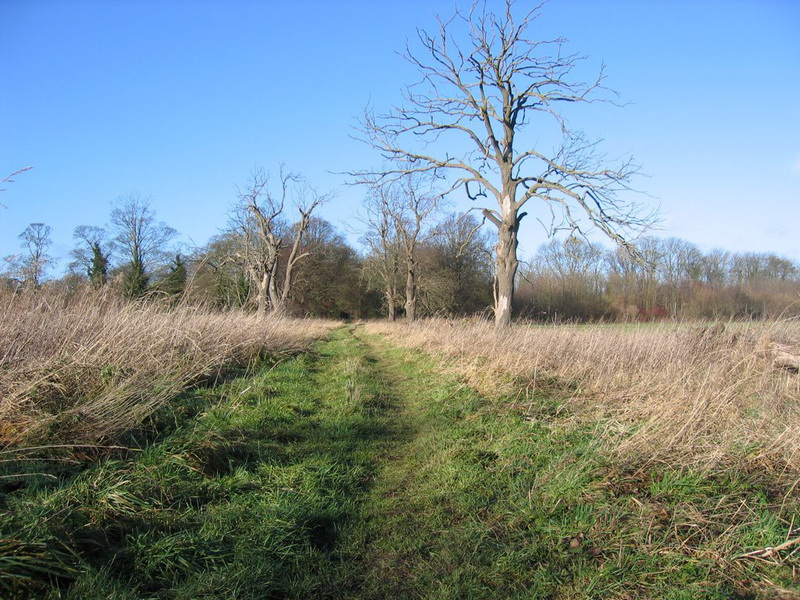 The article highlights many features in the grounds of Tollerton Hall and the wildlife one could find in this environment. Our thanks go to the Nottingham Roman Catholic Diocesan Archives for allowing us to share this item. 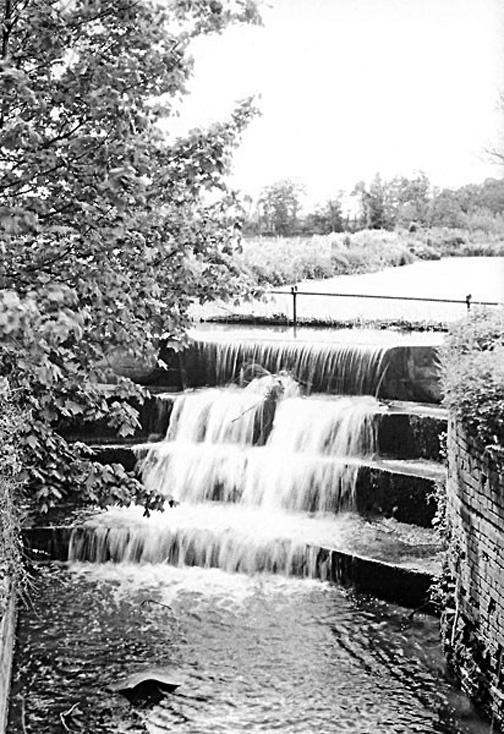 The additional photographs were taken more recently and show some of the features mentioned, including the stream, the approach to the woods, the dam/weir and finally the lake to the rear of Tollerton Hall. Summer Sanctuary The College Curriculum and the weather do not combine very often to give us time to pursue one of our favourite hobbies, natural history, so as we walked across the lawns we did not stop to exchange a few words with the group of cricket enthusiasts at the nets. We first stopped at the Green Hut where there was a thrush nesting. Yes, even as we approached, she flew off, giving vent to an expression of annoyance and fear. That was not too good a sign, for it meant that the nest was well known and was being visited too often. Still we could do nothing about that, so we looked into the nest, which was about shoulder high. She had laid four eggs – “looking little low heavens.” The distinctive feature of the thrush’s nest is that, unlike the nest of the blackbird, it is lined with mud. Generally it looks most untidy, but, when we hear the song of the thrush we forgive it its untidiness. By now the mother bird has become really agitated, hopping about from branch to branch, and so we took the hint and moved away. often comes away from the margin of the lake to scavenge grubs among the grass, or to take short cut to the stream. It is a sight which always stirs me, however, for although it runs so quickly, this bird always seems so sure of itself, glancing up and down the path before crossing, as if setting an example to road safety. We had now reached a small fir tree, which annually shelters the nest of a bird. This year a chaffinch had built its nest in its branches. It looked so cosy nestling in a fork, and built of dry moss, horse-hair and feathers, that we thought it must be a real joy for the fledglings to be born in it. This nest is a very superior cot compared with that of the thrush. The unblinking eye of the hen bird stared at us as we approached, and so, instead of disturbing her, we pressed on and left her to the pleasant task of hatching her eggs. assent, and we were not mistaken. As the flies were dancing up and down over the water a trout was busy rising to catch those unwary ones which sank too near the water’s surface. There it was again, and we had a lovely view of it as it turned sideways after the rise. It was a brown trout of about half a pound in weight. As it cruised round we could see the rose moles on its back, and, now and again, its yellow belly, almost the colour of fresh butter. We were not on a fishing expedition, however, and although l could have sat and watched him much longer, l reluctantly followed my companions as they went over the bridge and through the gate. popularly called on account of its shape, the Horseshoe Wood. peculiar rapid flickering action of her wings as she too makes for the Horseshoe Wood. went in a westerly direction till we reached the overgrown pond. immediately curled up into a ball, sticking its spikes out in a menacing fashion. The elder trees in this part of the wood are very thick and it is not an uncommon sight to see the untidy nest of wood pigeons, perched somewhat precariously amongst the branches. The woodpigeon is, without doubt, one of the few birds that do more harm than good. The farmer has no cause to bless it for it eats the grain, peas and tender vegetable tops, and is generally a menace. fairly frequently, never when one is looking for one. We crossed the field and came to the wooden bridge, just in time to see the heron flying away. 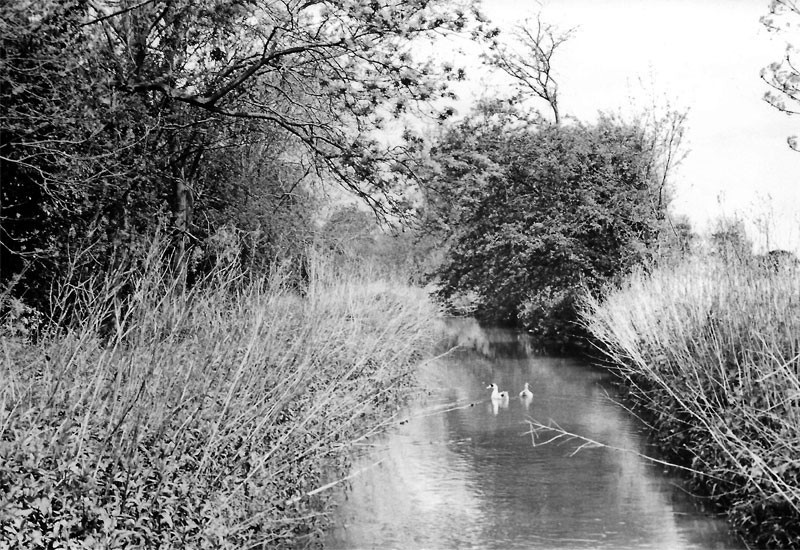 The heron is now a protected bird, and it undoubtedly does a great deal of good because, although it eats the young fish, in so doing it keeps the number of fish down , and that means that in a small lake such as we have at Tollerton the size of the fish is large, and the sick and ailing are sorted out. extermination is its prolific breeding. It has so many enemies, however, in the shape of dogs, cats, foxes, stoats, hawks and humans, that it has a precarious existence in its struggle for survival. Not that the rabbit is a timid creature. It is sensible in running away from danger that it need not face, but when the necessity arises it can ferociously defend itself and its young with vicious thrusts of its powerful hind legs. When at bay it is a foe to be reckoned with. proudly off; an overlord surveying his territory. cocking his head on one side make the wagtail one of the most lovable birds of our countryside. Above us cooed a pigeon, behind us whistled a blackbird, and to our right two chaffinches were incessantly bickering; but obviously a family quarrel. In such surroundings who could be anything but aware of the beauty and bustle of Nature? Our time was nearly spent now as we wandered back through the field to the house. The domestic side of Tollerton is stressed by the cows, which stare placidly at us as we pick our way through their midst. They never offer to move, but, after all, we are the intruders. Just as we reached the gate, which separates the lawn from the field, the swans came flying over and made a perfect two-point landing on the lake. 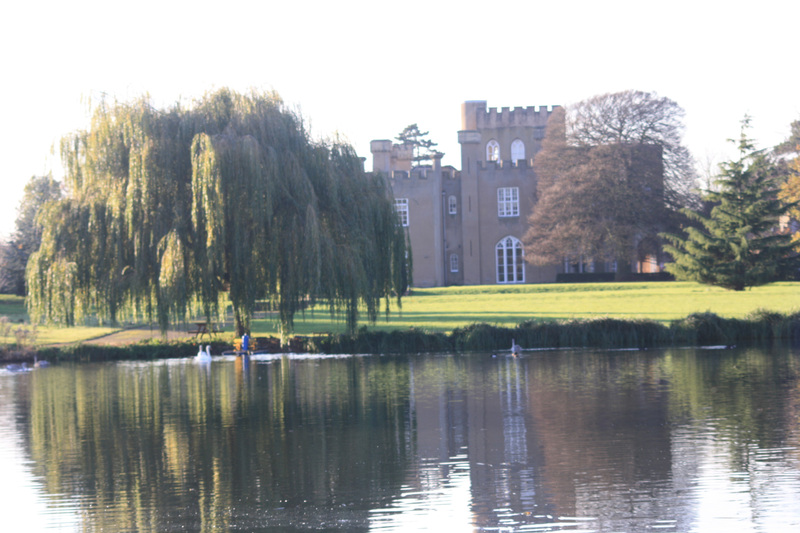 That put the finishing touch to our afternoon’s walk, for just as we had been inspecting their home, by examining the places they frequent, the swans had flown to the near-by city to inspect the home of man. And we hoped they received as favourable an impression as we did.